What in God's name IS a Choad? As far as its place in the human anatomy, you probably don't want to know. 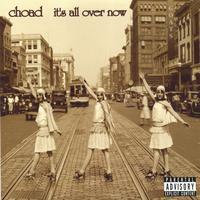 As far as music goes, Choad was without a doubt the greatest rock band to come out of the state of Kansas. Seriously. Choad. Best band in the world. Click link for free CD! An increidble cd that blows away any other new artist. With Tady's masterful guitar playing and Re-Light and Tady's lyrics it is a masterpiece of music. I would highly reccomend this album to anybody that is sick of all of the horrible new emo bands.